One of the major drawbacks of a DSLR is the size and weight due to which most people don’t prefer to carry it with them when they go out on a casual Sunday. At this point, high-end compact cameras come into play. Modern-day compact cameras are equipped with features which could be found in a decent DSLR including larger sensor, faster image processor, enhanced zoom levels and better continuous drive. They come in different shapes and sizes and perform drastically as a mid-ranged DSLR. Since they are easy to carry around with you thanks to a lightweight build and compact dimensions, the enthusiast photographers would take these small machines everywhere with them and use them for many other purposes. We have taken a look at the best compact cameras available in the market under $1,000 and have compiled a list of the best advanced compact cameras. Have a look. 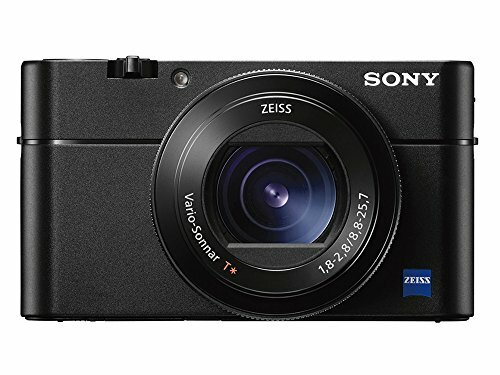 Sony has done a tremendous job with their premium Cyber-shot DSC-RX100 V. It has a 20 megapixel BSI CMOS sensor with 1″-type sensor which is capable of taking some brilliant images and videos. It is powered by Sony’s very own Bionz X processor which is responsible for deeper colors and enhanced dynamic range. A 24-70mm f/1.8-2.8 zoom lens along with the ISO settings of 125-12800 (could be boosted up to 25600) attract the compact camera loyalists towards this great machine. It has a whopping amount of focus points, 315 to be exact and has a continuous drive of 24 frames per second. All of these features are packed in a body which measures at 4.02 x 2.28 x 1.61 inches at weighs just 299 grams. The department of video is catered by the exciting 4K video resolution at 30p, 25p and 24p which gives an amazing output. There’s also a concealed pop-up electronic viewfinder which offers 100% scene coverage with 0.59x magnification. The 3 inches wide LCD, on the other hand, is also pretty decent with some 1,228,800 dots on it. It is tiltable but is not touch-enabled which is kind of a bummer at this price range. Sony has included Wi-Fi and NFC for faster communication but there’s no Bluetooth. The NP-BX1 has terrible battery life and it would only last for 220 shots. Another brilliant camera in our lineup, the Fujifilm X100F is a beast. It boasts a massive 24.3 megapixel APS-C CMOS III sensor which is baked by Fujifilm’s latest X-Trans III image processor. It possesses the Digital Teleconverter technology which produces a telephoto effect resulting in a magnified central part of the photo by two times. The ISO sensitivity is 200-12800 (could be boosted from 100-51200) and the focus points it offers is brilliant as there are a total of 325 focus points. Those who love to shoot in burst shooting mode might feel that the rate of 8 frames per second is below than the average while considering the price range. 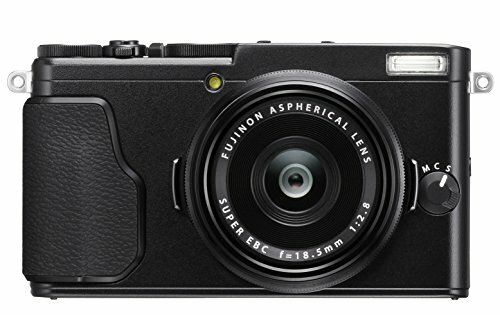 The Fujifilm X100F is an average sized compact camera as it measures at 5 x 2.95 x 2.05 inches and weighs at 469 grams. Exploring the area of video, you’ll find that the Fujifilm X100F is not capable of shooting in 4K resolution and the highest resolution it offers is the same old 1080p at 60p, 50p, 30p, 25p and 24p. Fujifilm has tried to cover the absence of the 4K video by adding a Hybrid Viewfinder which allows the photographer to choose between an optical viewfinder and an electronic viewfinder. It gives a scene coverage of 92% and a magnification of 0.5x. LCD on the other hand containing 1,040,000 dots on it is 3 inches wide and is neither tiltable nor touch-enabled. You’ll find Wi-Fi for connectivity but there’s no NFC or Bluetooth. The W126S battery is pretty decent and you’ll manage to get around 390 shots with a single charge. Panasonic, with their Lumix series of compact cameras have produced some very good cameras over the years. The Lumix DMC-LX100 is one of them as it has some outstanding features. It boasts a 13 megapixels CMOS Micro 4/3″ MOS sensor allowing great performance in low lighting conditions. The larger sized sensor is paired with an amazing Leica DC Vario-Summilux 10.9–34 mm f/1.7–2.8 ASPH zoom lens. These features are powered by Panasonic’s Venus Engine allowing the user to get a better processing of colors. The ISO settings are 200-25600 (expands to 100-25600) and for focusing, it has a total of 49 focus points. Those who are in for the burst shooting will find the LX100 a little disappointing as it offers just 11 frames per second. Panasonic has arranged all of these features in a compact body which measures at 4.53 x 2.6 x 2.17 inches and weighs 393 grams. 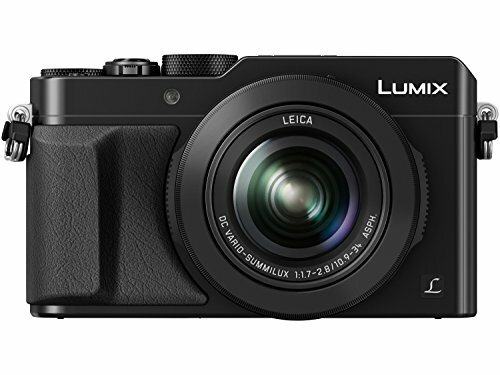 For videographers, the LX100 offers a whooping 4K video resolution at 30p and 24p. To add a touch of professionalism, Panasonic has included an electronic viewfinder which has a scene coverage of 100% and magnification of 1.39x. The 921,000 dotted LCD is 3 inches wide and is quite disappointing. It is fixed and is not touch-enabled either. There is no Bluetooth but the Wi-Fi and NFC will got you covered. The battery is average and will give you around 300 shots before requiring to get charged again. 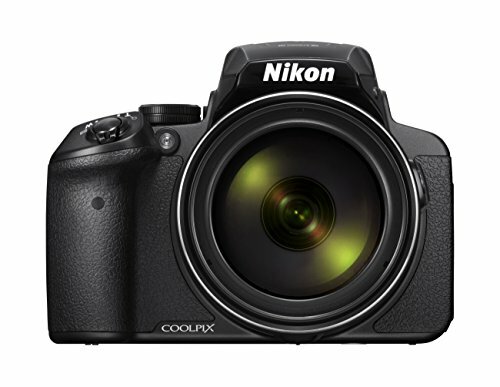 Nikon has truly made an impact on the market with their Coolpix P900. Although it is substantially heavier and bigger than the average as it weighs at 899 grams and measures at 5.51 x 4.06 x 5.39 inches but, the features it offers are tremendous. It has a 16 megapixels BSI CMOS 1/2.3″-type sensor which is powered by Nikon’s Expeed C2 image processor. It offers the best performance in terms of zoom, even better than some of the super zoom cameras out there including those made by Canon. It offers an exciting 83x of optical zoom which allows the photographer to get more and better close-up photos of interesting but far away objects. However, there is a lack of detail at ISO settings as the P900 has a sensitivity of 100-6400 (expandable to 12800 for B&W). Moreover, the continuous shooting rate of 7 frames per second is pretty terrible considering the heftier price of this machine. Videographers might feel the absence of 4K video as the P900 is only capable of recording videos at 1080p resolution with 60p, 50p, 30p and 25p. There is an electronic viewfinder giving 100% coverage of the scene and the 3-inches wide LCD is fully articulated with 921,000 dots. However, it is not touch-enabled which is kind of a drawback in 2017. For connectivity, the users will find Wi-Fi and NFC but no Bluetooth and the EN-EL23 battery gives a total of 360 shots per charge. 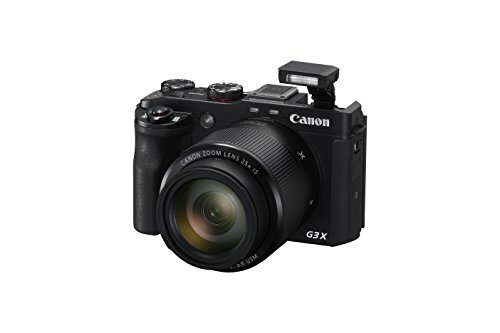 Next up in our lineup is another exciting company, Canon; with their PowerShot G7 X Mark II. 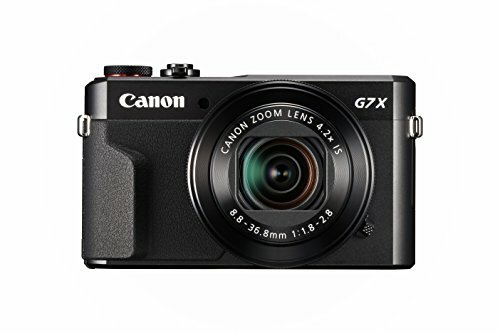 The Canon PowerShot G7 X Mark II is truly a remarkable camera with 20 megapixels BSI CMOS 1″-type sensor backed by the mighty DIGIC 7 image processor. It is truly a compact camera as it measures at 4.17 x 2.4 x 1.65 inches and weighs at just 319 grams. The ISO sensitivity it offers is 125-12800 (expandable to 25600) and a decent optical zoom of 4.2x. A rate of 8 frames per second is available when shooting in burst mode and a total of 31 focus points make sure that the object is clearly tracked in the image or the video. The area of video does not have 4K video but instead, the 1080p resolution is available to the users with 60p, 30p and 24p. There is no viewfinder whatsoever in the G7 X Mark II and the 3-inches wide monitor is touch-enabled but is not tiltable. It contains a total of 1,040,000 dots on it. For easy connections, there is Wi-Fi and NFC but no Bluetooth and the NB-13L battery is capable of giving 265 shots with a single charge which is pretty awful to be honest. 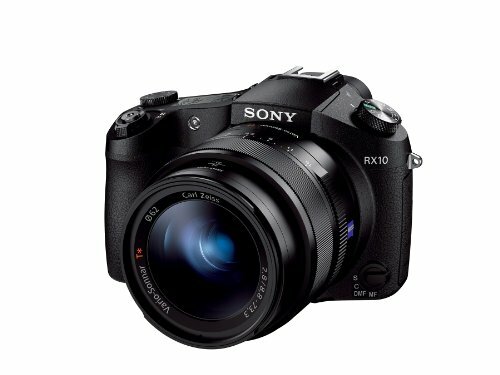 Sony up in the list again with the Cyber-shot DSC-RX10 which is a pretty decent shooter to be honest. It has a 20 megapixel BSI CMOS 1″-type sensor and is provided power by the Bionz X image processor. An 8.3x of optical zoom and a 6.6x of digital zoom is paired with 25 focus points for steady focus. An ISO setting of 125 – 12800 could be boosted up to 25600 and the burst shooting mode allows the photographer to shoot 10 frames per second. The measurements and weight of the RX10 is 5.08 x 3.46 x 4.02 inches and 810 grams respectively. The department of video isn’t really the best as the RX10 is only capable of shooting i Full-HD 1080p resolution at 60p, 69i and 24p. There is no 4K which is kind of a bummer at this price range. There is an electronic viewfinder with 100% scene coverage and a 0.7x of magnification. The monitor o the other hand is tiltable and is 3-inches wide containing 1,228,800 dots on it. It is however not touch-enabled. All the connectivity options i-e, Wi-Fi, NFC and Bluetooth are built-in the RX10 so you don’t have to worry about anything. The NP-FW50 battery pack can take around 400 pictures before draining. 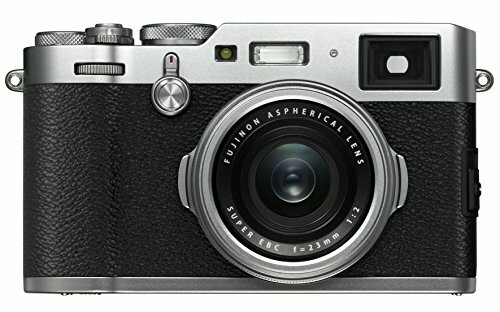 The Fujifilm X70 is another camera which could be purchased under $1,000. It is equipped with a 16.3 megapixels X-Trans CMOS II APS-C sensor and is energized by the EXR Processor II which is Fujifilm’s own image processor. It is packed in a body of 4.45 x 2.52 x 1.73 inches and weighs just 340 grams. It boasts a 77 point hybrid autofocus system for rapid fast focus and an ISO sensitivity of 200-6400 (expandable to 100-51200). The X70 also offers a continuous drive of 8 frames per second which is not so good considering the price range. There is no 4K video and you have to compromise on the 1080p resolution with 60p, 50p, 30p, 25p and 24p. Like the Canon’s PowerShot G7 X Mark II, there is no viewfinder in the X70 and the 3-inches wide monitor with 1,040,000 dots is tiltable and is touch-enabled. You can connect with external devices with the help of Wi-Fi but there is no NFC and Bluetooth. The X70 is powered by a NP-95 battery which will allow you to take 330 shots before charging it again. Yet another great camera in our list and this one is by Panasonic. 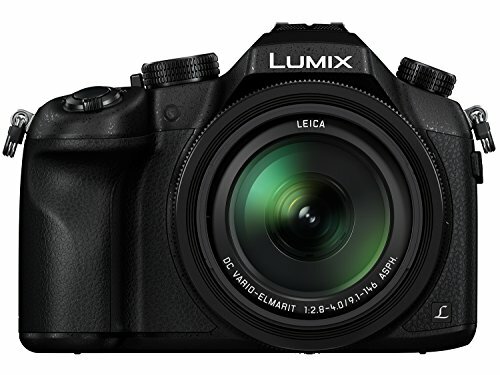 The Panasonic Lumix DMC-FZ1000 is an outclass camera with a 20.1 megapixels CMOS 1″-type sensor. The mighty sensor is powered by Panasonic’s very own Venus Engine image processor. It has a 16x optical zoom and an paired with 49 focus points and 5-axis optical image stabilization features which make sure that the images aren’t distorted even at the highest zoom levels. A continuous drive of 12 frames per second and ISO sensitivity of 125-12800 (expands to 80-25600) are also part of this camera. Talking about the video, the Lumix DMC-FZ1000 is capable of recording 4K video at 30p. There’s also an electronic viewfinder with 100% scene coverage and 0.7x of magnification. On the other hand, the 3-inches wide LCD is fully-articulated but is not touch-enabled. The 5.39 x 3.9 x 5.16 inches wide body and a heftier weight of 831 grams is kind of a drawback but the features it offer are tremendous. You can transmit the data through Wi-Fi and NFC and the DMW-BLC12PP battery gives more than 350 shots with a single charge. Canon always impresses its user through their PowerShot series. The G3 X is also one of the cameras from the PowerShot series. It boasts a 20.2 megapixel BSI CMOS 1″-type sensor backed by Canon’s DIGIC 6 image processor. A super fine optical zoom of 25x is made accurate thanks to 31 focus points. Other specifications include an ISO setting of 125-12800 (expands to 25600) and a continuous drive of 5.9 frames per second. These features are packed in a body of 4.84 x 3.03 x 4.13 inches which a weighs a little more than the average at 733 grams. The area of video is a little disappointing as there is no 4K video and the G3 X only records the video in 1080p resolution at 60p. Another thing which is missing is the electronic viewfinder, something which is a crucial part of the enthusiast grade compact cameras. The LCD, however, is pretty bright thanks to a bigger size of 3.2-inches and 1,620,000 dots. It is both tilting and touch-enabled for easy usage. Both the Wi-Fi and NFC are built-in for easier and faster connections and the battery pack of NB-10L gives 300 shots per charge. These high-end compact cameras have been carefully selected for our readers to meet the demands of 2017. All of them will cost you under the limit of $1,000 and performs brilliantly. For instance, Sony’s RX100V should be preferred if you love burst shooting. Also, Fujifilm’s X100F and Panasonic’s LX100 are pretty good with focus and would be adored by macro shooters. Moreover, Nikon P900 and Canon G7 X Mark II is for the community of zoom lovers who love to capture far away objects.